When you think of a Canadian whisky, one typically assumes a 3 year old, normally a blend or a rye… not an 18 year old whiskey. This time from Gibson’s Finest – a distillery that started in Pennsylvania then with prohibition relocated to Quebec, where they have been producing whiskey every since. Overall we found it to be the epitome of spring, fresh and light, just skipping around ones palate. It is a day whisky, easy going, with a gentle single note. Not one harsh element and while one would ideally want a bit more complexity in an 18 year old, it was enjoyable in a innocuous and pleasant way. As we tried this in one of Bombay Malt & Cigar evenings, the next step was to consider that combination. With this Gibson’s a cigar simply overpowers… best to enjoy each separately! In Canada, you can find this through your provincial LCBO – currently for C$89.95. Lohin McKinnon Single Malt Lot 0001 43% – Inaugural batch, banana cake sweet! 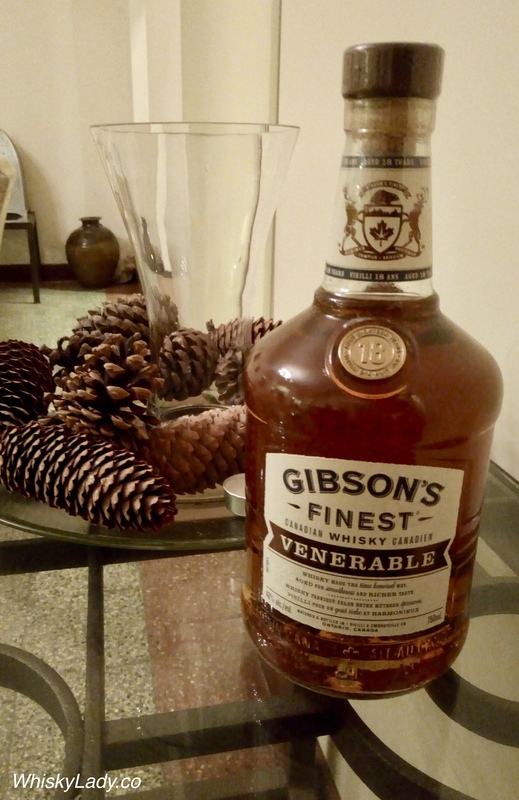 This entry was posted in Beyond Scotland, Canada and tagged Gibson's 18 year, Gibson's Finest, Gibson's Finest Venerable, William Grant + Sons by Carissa Hickling. Bookmark the permalink.